From Jesus’ command to “love your enemies” to the idea of “holy war” is a giant leap. Yet from the Old Testament through to the Crusades and the inquisitions, Christian history is full of violence. At times Christians have been enthusiastic proponents of violence and war. How have the followers of a crucified leader managed to get things so wrong? This segment looks at one of the darkest events in Christian history: the Crusades. The reasons for the Crusades are complex and are not the focus of this segment. Instead, it focuses on the moral character of the Crusaders, and whether they followed the example of Jesus. JOHN DICKSON: Jerusalem. Home of three great religions. The so-called city of peace. 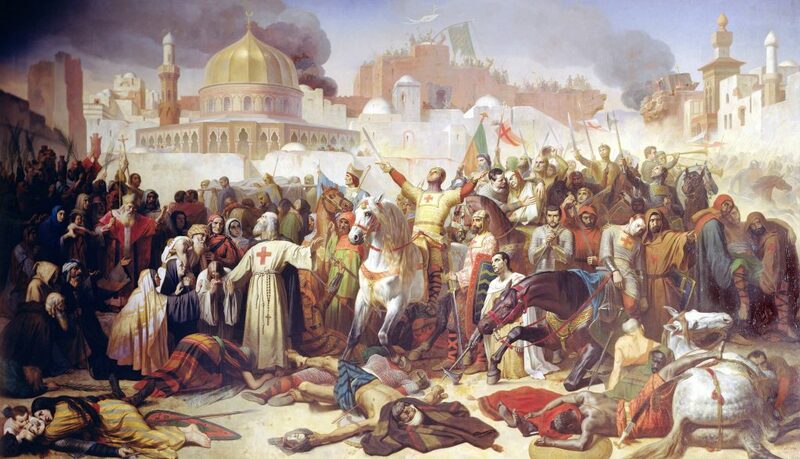 In the blistering heat of July 15th 1099, 10,000 European Crusaders broke through Jerusalem’s walls, and fought their way up here, to one of Islam’s most sacred sites, and committed one of the great atrocities of Christian history. Thousands barricaded themselves in up here and sought refuge in the mosque. Some even climbed the roof of the mosque to escape. But the Crusaders burst through, and slaughtered men, women, and children. Some they threw off the high walls to their deaths; the rest they butchered. The carnage apparently filled this great promenade. When the fighting was done, the pilgrims (as they liked to call themselves) marched 500 metres that way to the ancient Church of the Holy Sepulchre, where they held a Thanksgiving Service. The irony is scorching. Near this church, a millennium earlier, Jesus of Nazareth had died on a Roman cross, having called his followers to love their enemies. How could they get it so wrong? How could they follow a man who loved enemies and laid down his life, and then exult in the death of thousands? JUSTINE TOH: Here is where the Crusades began, the city of Clermont, in the heart of France. It’s the year 1095, and Pope Urban the second is holding a church council. On the final day, he preaches a sermon that changes the course of history. We don’t know exactly what Urban said, but we know the main points. He’d received a plea for help from the Christian emperor of Byzantium (modern-day Istanbul) who was under attack by Muslim forces. Over the past few centuries, Islamic armies had been expanding their territory not only in the Middle East but also much closer to home in Italy, Spain, and France. Urban told the crowds that, instead of fighting each other at home, they should go to the East to rescue their fellow Christians. They should channel their violence for “good”. So, he issued a decree: “Whoever for devotion alone, not to gain honour or money, goes to Jerusalem to liberate the Church of God can substitute this journey for all penance.” This was something new and surprising – salvation for taking up the sword. THOMAS MADDEN: These men were not monks or priests. They weren’t peasants. They didn’t know the prayers, most of them couldn’t read or write. But they did know how to fight. And this, the Crusade, offered a way for them to use that one thing they knew how to do for the benefit rather than for the perdition of their soul. CHRISTOPHER TYERMAN: The Crusades are distinctive wars, not because they’re religious wars (that’s common), not because they’re ideological wars, but because the combination of violence and what was offered by the popes for Crusaders – the remission of sins. So, this was the idea that to fight a war was not merely justified but actually was meritorious, spiritually meritorious; you got time off purgatory. To fight and die on Crusade, you went to heaven. So war was a penitential act, it was a good religious act like giving alms or going on pilgrimage or anything like that. And this was distinctive; this was different. Preachers like the fiery Peter the Hermit went out across Europe, urging people to, “Take up the cross”. More than one-hundred-thousand soldiers signed on. They saw themselves as milites Christi, the “Knights of Christ”. CHRISTOPHER TYERMAN: You see in early medieval texts popularising Christianity that Christ and his apostles – Christ becomes a knight, the apostles become his war band. So, the way in which Christianity accommodates the dominant political and social culture of the warrior class is absolutely central to the way in which religious violence becomes an accepted norm. JUSTINE TOH: The church might have converted European warrior tribes, but it was also influenced by that warrior culture. And this helps explain how the Crusaders could see their task as a religious one. CHRISTOPHER TYERMAN: There’s a traditional interpretation of the Crusades that they were simply land grabs. This is highly improbable. If you wanted to grab land if you were a knight in France or Italy or Germany, if you wanted to grab land, why go 2,500 miles to a bare Judean hillside that actually was economically rubbish? THOMAS MADDEN: The fact is there were almost no Crusaders who materially benefitted from the Crusades. There are a few very small examples of people who went there and then ended up getting up a lordship for example. But the vast, vast majority of Crusaders would go complete the vow and come home, and they would end up spending a fortune doing it. JOHN DICKSON: After the gruelling journey to the Holy Land, the depleted but zealous forces were ready to do their duty for God. More than 10,000 soldiers eventually made it here to Jerusalem. And in the days before the final battle, they marched in formation around the holy city and camped here on the Mount of Olives, where a thousand years earlier Jesus himself had taught, and taken his ride on a donkey into Jerusalem, to his death. The spiritual fervour must have been intense, and Peter the Hermit stood here and preached up a storm. “Take up your cross and follow Jesus”, was his message. When you think of Jesus’ famous Sermon on the Mount, with its call to “love enemies” and “turn the other cheek”, the Hermit’s message … is jarring, to say the least. And what happened when the Crusaders successfully stormed the city was a massacre of biblical proportions. ACTOR (RAYMOND OF AGUILERS): Piles of heads, hands, and feet were to be seen in the streets of the city. Men rode in blood up to their knees and bridle reins. Indeed, it was a just and splendid judgment of God that this place should be filled with the blood of the unbelievers. This day will be famous through all future generations, for it turned our labours and sorrows into joy and exultation. This day, I say, marks the justification of all Christianity. JOHN DICKSON: I hardly know what to say. WILLIAM CAVANAUGH: There is a sense in which you have to answer yes and no to the question of, “Is the Crusader really a Christian?” On the one hand, I think, normatively, you have to say “no”. If you’re a Christian you want to say that this is a misunderstanding of what’s really at the heart of the gospel. But descriptively or empirically I think you have to say “yes, he’s a Christian”, and we can’t simply wash our hands of responsibility by saying, “oh, Christians don’t do violence because if they’re really Christian they wouldn’t do violence”. I mean clearly this is part of our history, and we have to own that. “Religion is responsible for most/all wars.” What do you think about this statement? Find three images online that come to your mind when you think of the words “holy war”. Discuss why you chose these images. 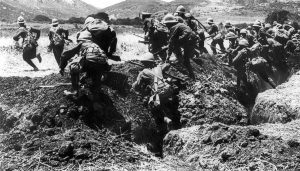 Make a list of some famous battles that have occurred in history and/or in movies. 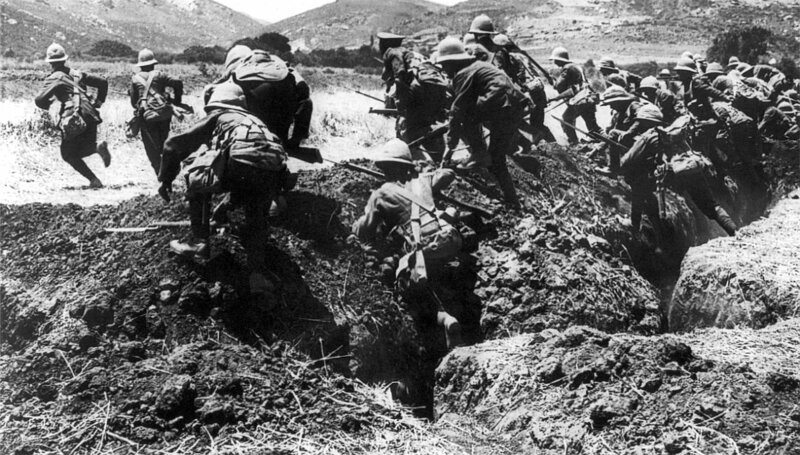 Is it ever right to invade someone else’s land? What observations can you make about the following images of the Crusades? Summarise what happened during the massacre in Jerusalem on 15 July 1099. How does this event make you feel? What about it particularly shocks or surprises you? 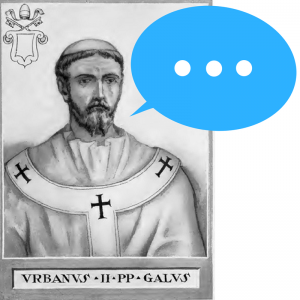 What did Pope Urban say that “changed the course of history”? Pope Urban’s message offered the crowds “salvation for taking up the sword”. How do you think this could have been a powerful motivator for the crowds listening to Urban? Were the Crusaders also motivated by the desire for material benefits e.g. land and money? 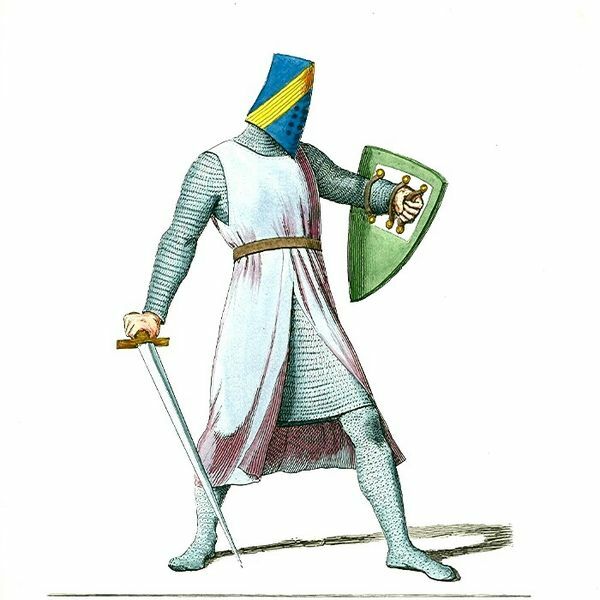 What were some of the values that were part of the warrior culture in Europe at the time of the Crusades? Evaluate how this warrior culture contributed to the Crusades being promoted as spiritually beneficial. Complete this table to contrast the words and actions of the Crusaders and the words and actions of Jesus. Hold a debate to answer the question: Were the Crusaders truly followers of Jesus? 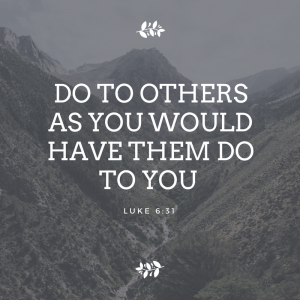 What does Jesus call his followers to do in this passage? What is difficult about Jesus’ teaching? What problems can you imagine could come from obeying this? V. 31 is sometimes known as “The Golden Rule”. Do you think this is a good rule to follow? Why or why not? What do you think the world would be like if everyone followed this rule? Why do you think people don’t follow this? Do you have any further questions about this teaching of Jesus or its implications? 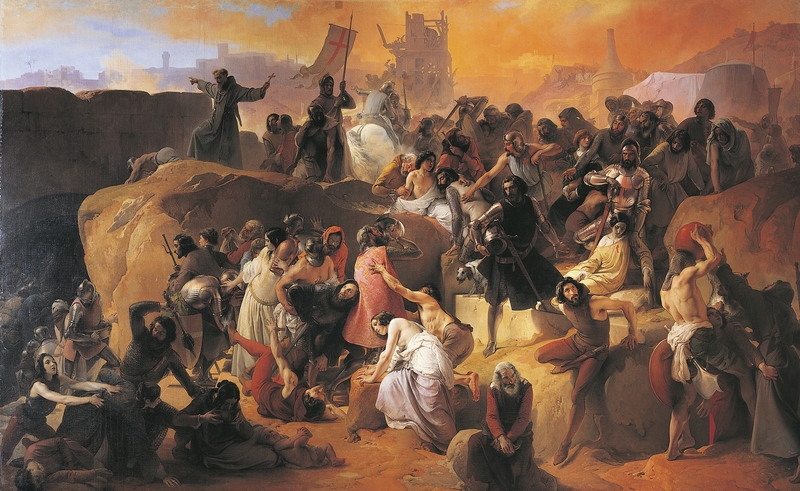 Do we have the right to judge the church today for historical events such as the Crusades? The church at the time of the Crusades was influenced by warrior culture. Are there ways in which you think the church today might be affected by cultural factors that pull it away from Jesus’ original teachings? 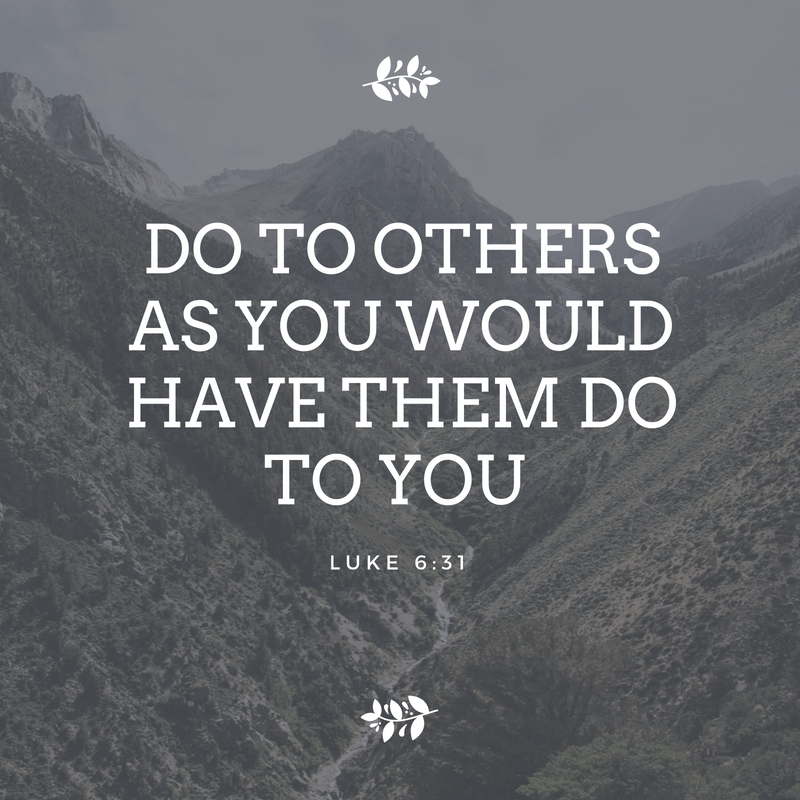 Is loving your enemies something that you personally try to practice? 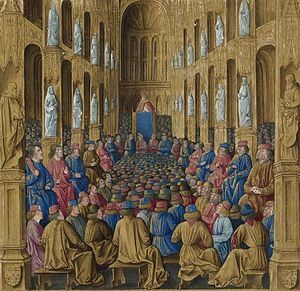 Read the five versions of Pope Urban II’s speech at the council of Clermont in 1095 here. Imagine that Jesus was present at this speech. Write a follow-up speech from Jesus that addresses Urban’s argument. Watch the segment: “Kill them all: The Albigensian Crusade”. List some similarities and differences between this crusade, and what happened in Jerusalem in 1099.